Part of what made these bucket list items achievable was that I made them flexible enough for me to seize. While New Zealand is often considered the extreme sports capital of the world, I took the opportunity to skydive while I was in Australia. This is one case where I needed to commit myself to work up the courage, but I tried to keep my options flexible. 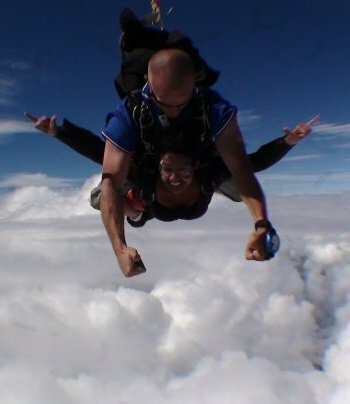 Even though I was originally planning to do the jump in Brisbane, the to-do list item simply read: skydive somewhere abroad. I ended up having the opportunity to jump in Cairns, again having to shift my plans around because of the weather. Had I been too specific about jumping in Brisbane, I may not have had a chance to jump at all on that trip. 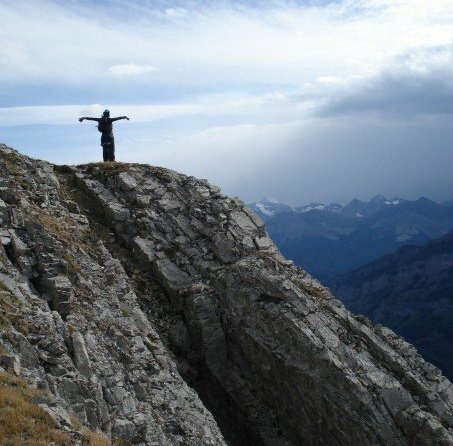 In the summer of 2007, I became frustrated with the fact that I had hiked extensively in the Rockies, but had never peaked any mountains, despite growing up in Calgary. Returning home from my penultimate semester at uni, I requested we change our plans for a family hike into one that would have us peak a mountain, any mountain. Taking advantage of Grizzly Peak’s proximity to home, our family outing turned into a family scramble (my dad and brother used to be avid scramblers). While my mom didn’t quite make it to the peak, she made it much further along than I would expect of any of her peers, and I got to enjoy the company of my whole family on this special trip. Had I been pickier about the mountain, it may have proved too difficult for my parents at that time in their life. Some experiences are meant to be specific: like seeing the Grand Canyon – there is only one! Other times, a little bit of flexibility can help make something achievable. The same advice applies to travel – put yourself where you need to be, but don’t pigeon-hole yourself so much that you lose a chance to do something special. So, I now turn the question to you: what’s on your bucket list?